I hope you have a wonderful Thanksgiving and that you get to enjoy some relaxing time with friends and family. I also hope you have some time set aside to practice gratitude. Being thankful has so many advantages! 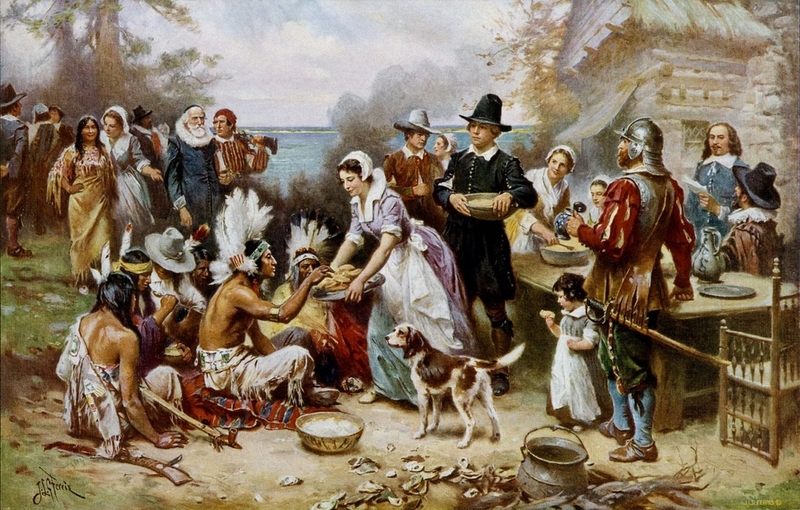 The painting pictured here is called The First Thanksgiving, by JLG Ferris. It may not be perfectly historically accurate, but it’s a great depiction of the generosity and togetherness this holiday inspires. My sons and I will be coloring our own version of The First Thanksgiving as we talk about all the blessings in our life. Coloring great works of art helps us experience them in a fuller and deeper way. Not only will your students become familiar with great works of art, but they will also start to notice the elements of art and design in practice. Join us! 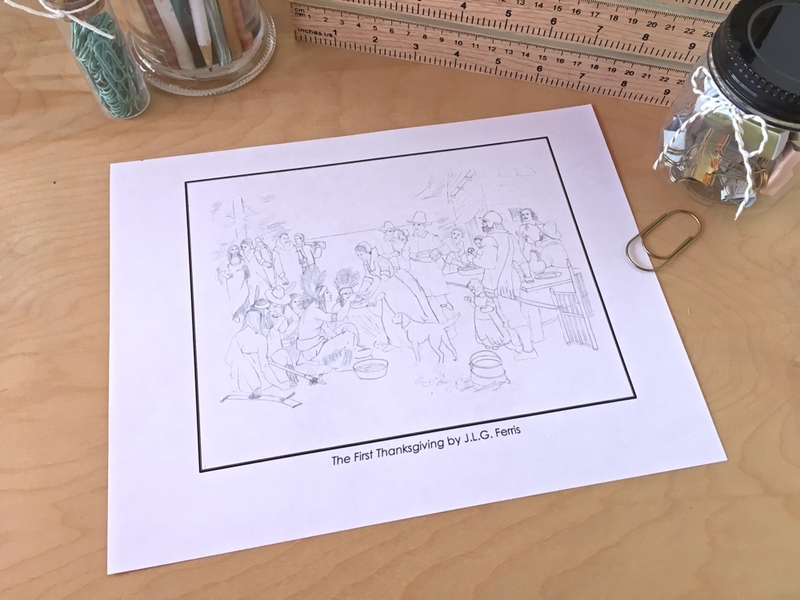 Download my line-drawing of The First Thanksgiving for FREE for a limited time (Oops! That freebie expired, but you can still get it for $1.99 in my store) and color it with your children. You could even print it on 11×17 paper and make it a placemat for Thanksgiving day! If you’re looking to add in a bit of history to your day, I like The Classical Historian’s blog post about Thanksgiving. Whatever your day brings, I hope you’ll get to sit down and enjoy some art time while contemplating what you’re thankful for. I’d love to hear from you now- How do you incorporate the practice for gratitude into your Thanksgiving holiday?